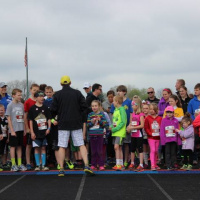 April 8, 2019 -- The challenge: Getting to know Stark County in just a weekend. This is my guide, designed for my fellow 20-something/college student/young adults looking for a weekend adventure. This is more than your guide to the best nightlife clubs and bars— my guide gives a promising agenda for food, drinks, shopping, and IG-worthy locations that can be seen in a 48-hour period. Going on vacation – no matter how short or long – can help reduce stress, increase productivity when you do go back to work, and generally just make you happier. Located right off of I-77, Holiday Inn Canton is located almost adjacent to Belden Village Mall. There is a lot to do around this area, like shopping, restaurants, and entertainment venues. This is a great spot to stay, that keeps you close to all of the action! Find your zen spot and relax at either the restaurant, lounge, indoor pool or in your beautiful updated guestrooms. Located inside Holiday Inn Canton, Twenty/20 Taphouse is the perfect spot to get a quick drink. To top off, Happy Hour on Friday’s from 4:00 pm to 7:00 pm provides you with discounts on drafts, wines, and cocktails. 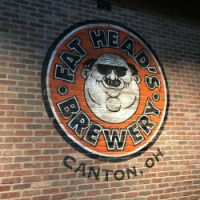 Fat Head’s Brewery is a must do when in Stark County. The lively atmosphere and great food makes this a must do on our weekend. Check out their “Headwiches”, and be sure to be hungry as the portions are huge. The Players Guild Theatre, is an awesome place to see a musical/play where you can experience "Broadway in Your Backyard”. 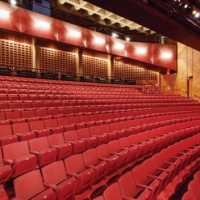 Every seat has a great view to the stage-- there really is not a bad seat in the house. AND Beginning May 17th ‘Titanic the Musical’ will be performed and tickets start as low as $25. Start off the day with a delicious breakfast buffet right at the hotel. 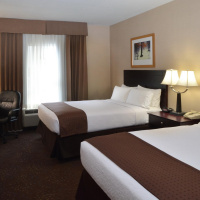 Meander down to the lobby and take in the options Holiday Inn Canton has to offer. Although this is not complementary, it is worth every penny. I’m not sure about you, but there is nothing I love more than going away for the weekend and being able to have time to just relax and focus on myself. And my favorite way to do this is by heading to spa to get a facial, and to get my nails and toes done. A little pampering after a long week at school or work can do the trick. One of my personal favorite places to relax is at Shine Salon & Spa. They are located on Hills & Dales between Whipple and Dressler. Shine offers many services, with some great deals. They offer Spa Packages on 15 different services- Pick 3 for 10% off, pick 4 for 15% off, pick 5 for 20% off and pick 6 for 25% off. 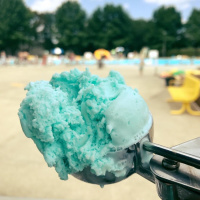 I highly recommend the Pick 3 for 10% off Spa Package deal and choosing the Whirlpool Pedicure, Shellac Manicure and the 30-minute Relaxation Facial, or a Shine Conditioning treatment. 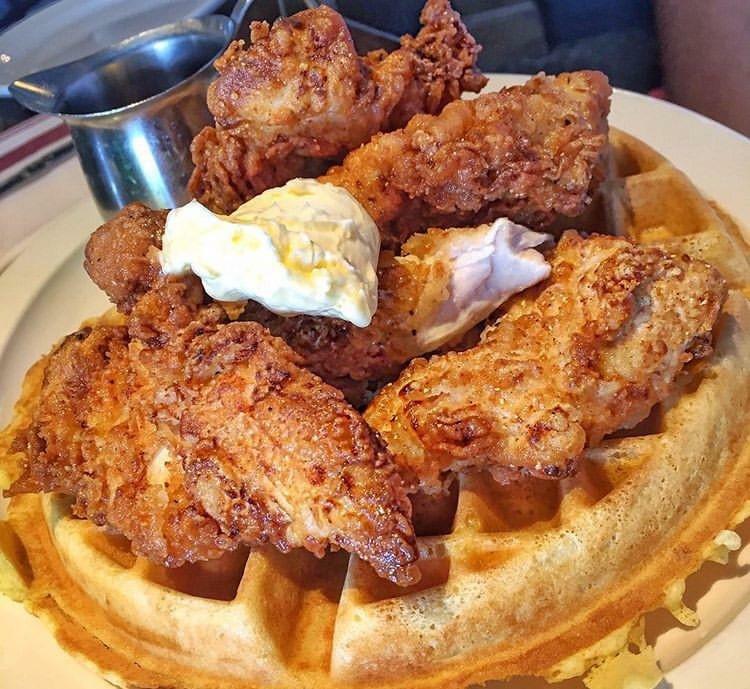 You do not have to travel far to grab a bite to eat after a very relaxing morning, since they are only one minute down the road from Shine Salon & Spa. 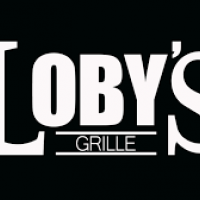 Loby’s Bar & Grille is one of the best bars if you are looking for a place for fun, drinks, music, and entertainment. They offer a variety of deals like $2.75 for tall drafts of Bud Light, 45¢ Wings, $2 Coney’s, $2 Fries, and 5 for $13 Domestic Buckets! Guided wine tastings are available at The Crush House tasting bar and happen to be there on a Saturday? Enjoy FREE Public winery tours are available every Saturday afternoon at 12PM, 1PM, and 2PM at Gervasi Vineyard beginning at The Crush House. 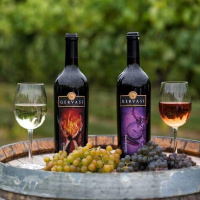 Gervasi Vineyard is a destination winery resort that offers memorable experiences for wine lovers like myself, who appreciate good food and good wine and it could not be any more perfect to add to a getaway weekend. Head back to the hotel to take quick nap or to freshen up before a long night ahead of you. Time to put the finishing touches on the evenings looks. Table Six Kitchen + Bar is a perfect place for made-from-scratch comfort food that is perfect for sharing with friends. They also have very unique yet mouthwatering drinks and dinner options. 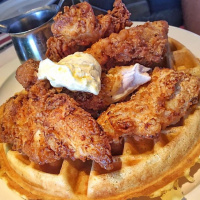 My favorite is their to-die-for Chicken and Waffles!! 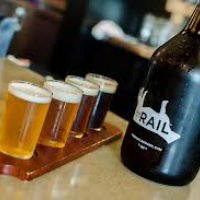 Their drink options exude an All-Ohio experience, which is why I highly recommend coming in and taking your pick of 24 Ohio craft beer choices. A night out in Canton is non-negotiable when you only have 48 hours. The hottest club in Stark County is most definitely the M Bar. M Bar is Canton's premiere Martini Bar and cocktail lounge offering an awesome atmosphere to drink and dance with friends. 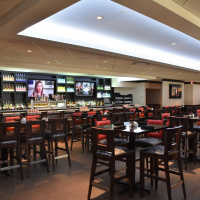 If the club isn’t really your style, you are in luck because attached to M Bar is Jerzee’s Grille. Jerzee’s is more of a sit down, catch up and chill with friend’s kind of bar. Also, to top off the night M Bar and Jerzee’s are right across the street from the hotel, so no need to worry about any Uber Expenses, or having a Designated Driver. No matter what you choose, both offer a great night of fun. More than likely you are going to wake up feeling a little groggy, tired, but completely happy with what we’d gotten to do the previous day. 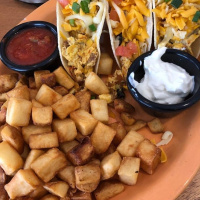 The best way to fuel up for the day, is at Scramblers for a bite to eat. The pancakes, omelets, hash browns and coffee are wonderful and their portion sizes are huge. My personal favorite it their Breakfast Special Tacos; these aren't your typical tacos, as this is an egg joint not a taco joint and they are spectacular! One of my favorite things to do when visiting a new city is finding popular boutiques/shops in the area, where I can find things that no one else typically has. I am not sure about you but I LOVE purchasing pieces that no one else has. Two of my favorite boutiques in Stark County are Mainstream Boutique and Laura of Pembroke. Mainstream sells a large variety of beautiful clothing, jewelry, accessories and gifts. Laura of Pembroke offers unique women's clothing, jewelry, and accessories, gifts, and home furnishings and home accessories. Grab a late lunch to talk about your amazing getaway weekend before you have to snap right back into reality. 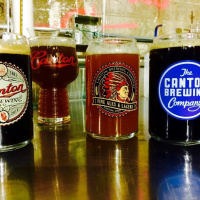 The Canton Brewing Company is a perfect place to end your trip in the heart of the city. Alli is a Spring 2019 Intern at Visit Canton. She will be graduating from Walsh University this spring with a degree in Education and Graphic Design. At Walsh, she is a 4-year starter for their Women’s Lacrosse Team. After completing her degree, she hopes to continue on with school to earn her Masters of Science in Digital Marketing, where she also hopes to be become a graduate assistant coach for the lacrosse team. You can find Alli shopping at Canton’s Belden Village Mall, watching movies and spending time with her family and friends. 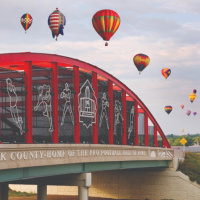 The area's best stop for food, fun, and entertainment!